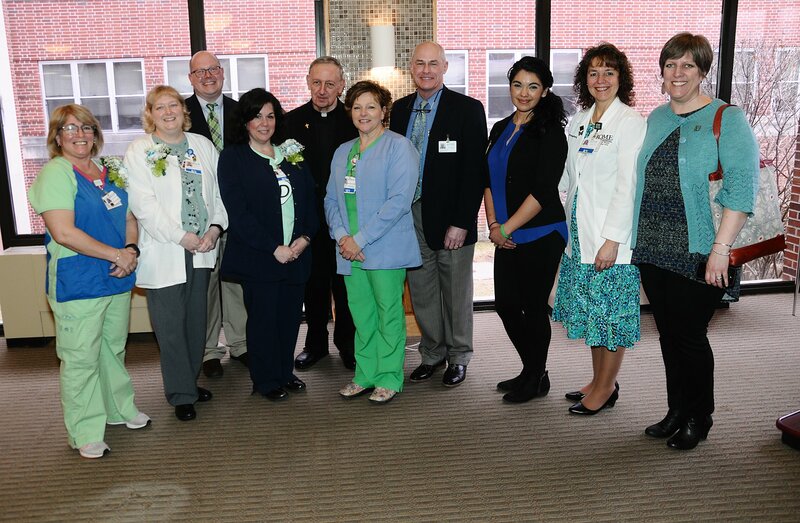 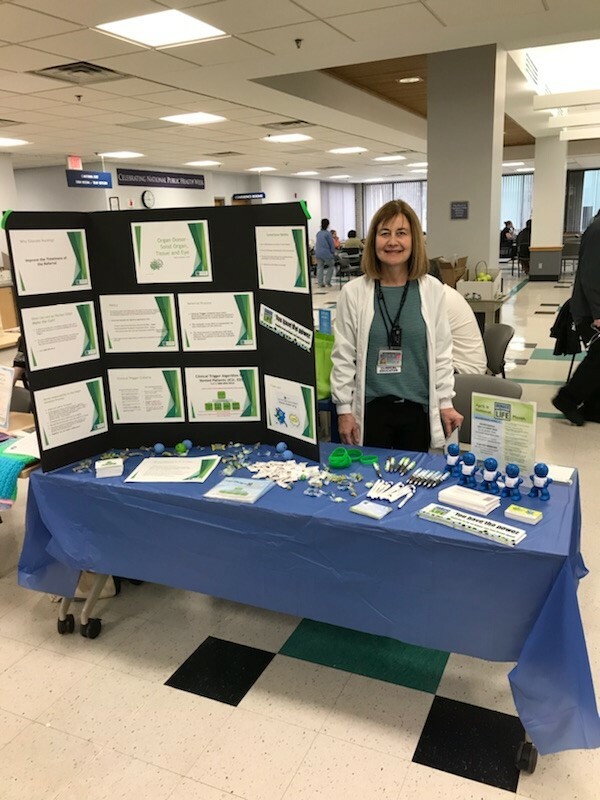 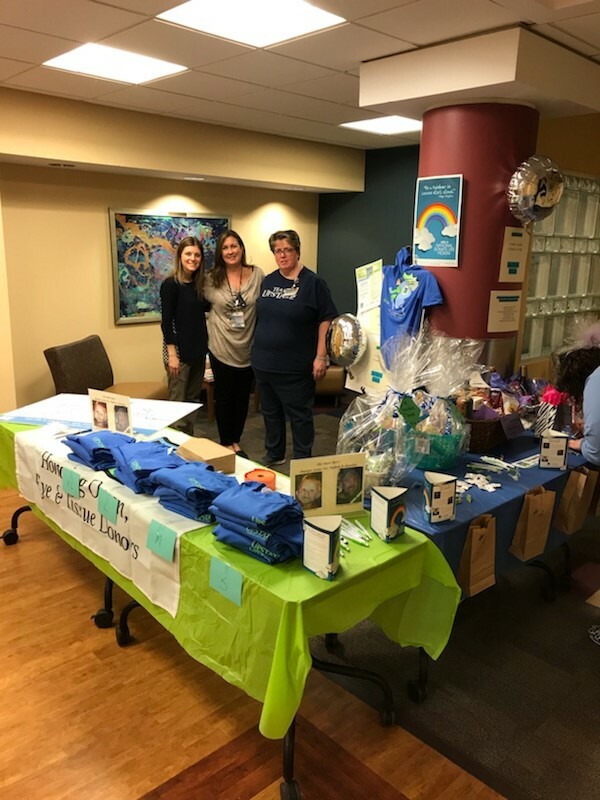 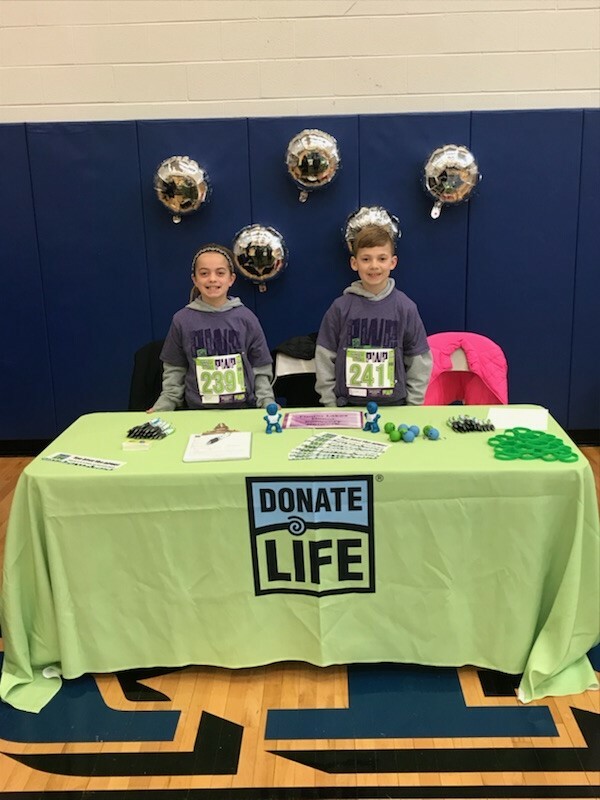 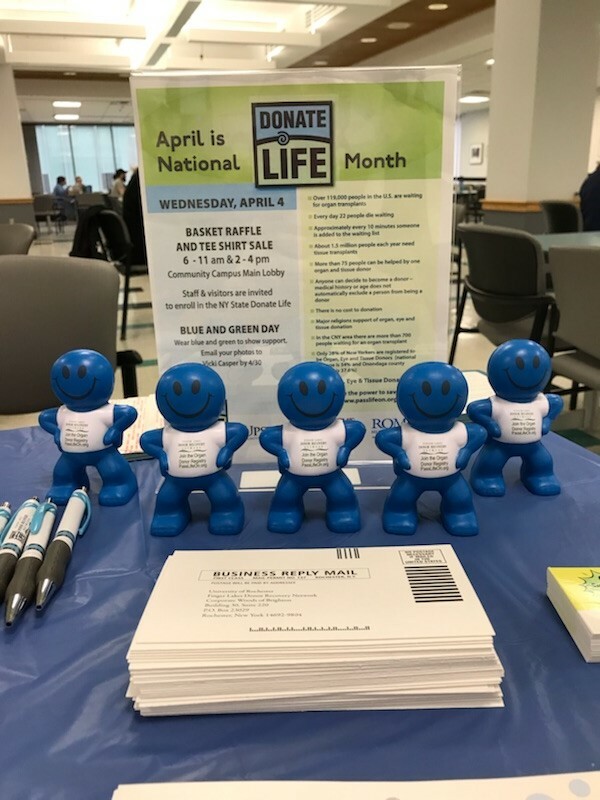 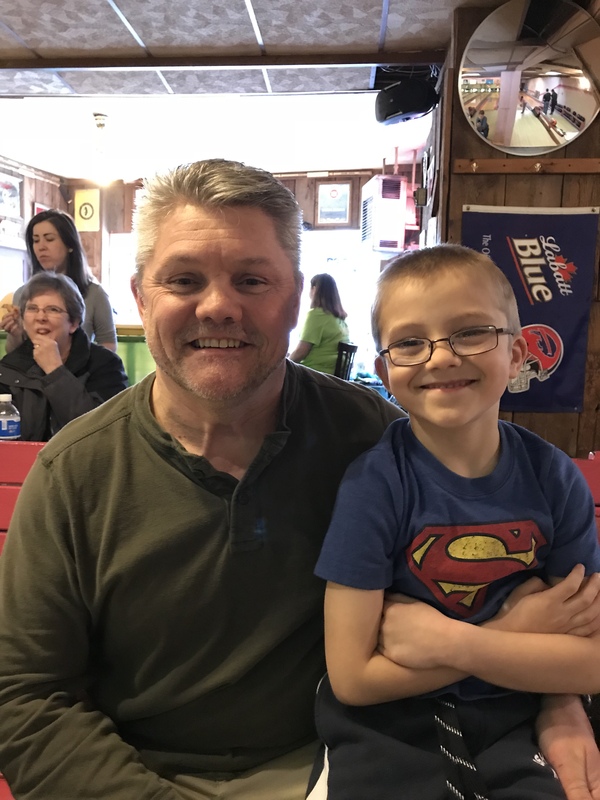 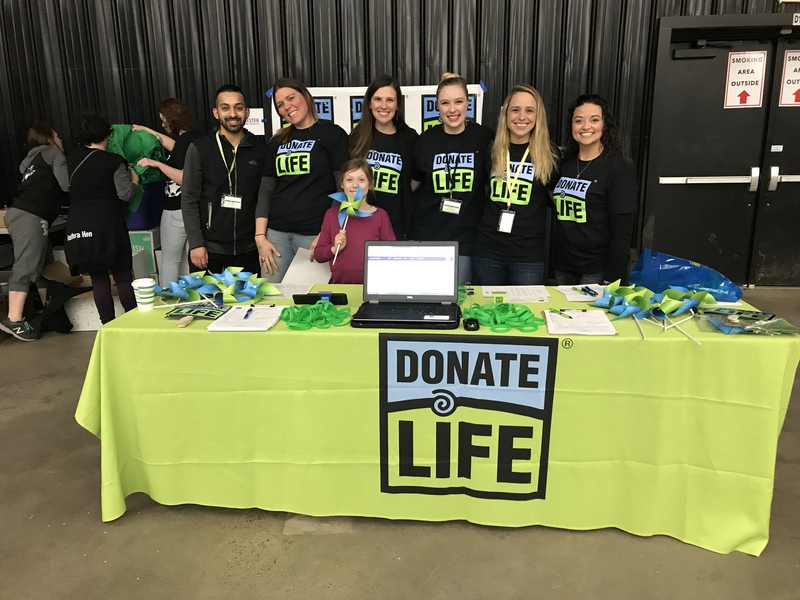 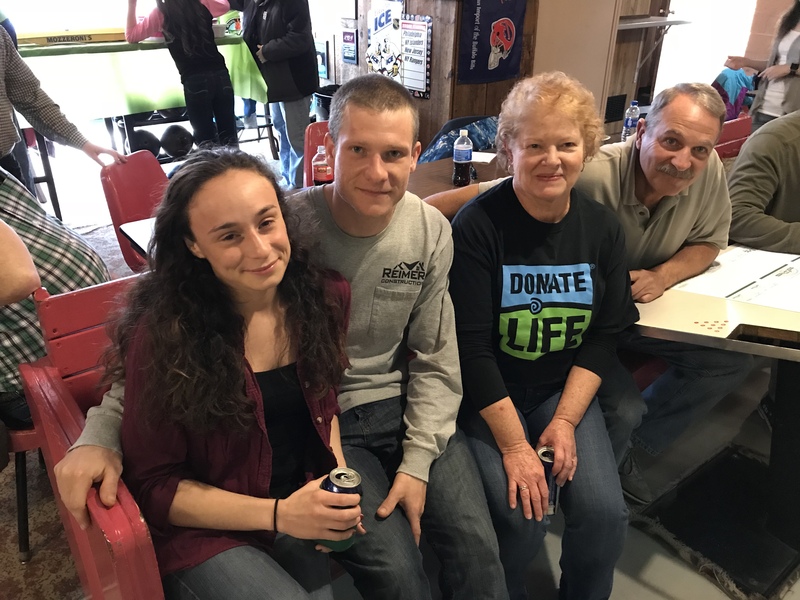 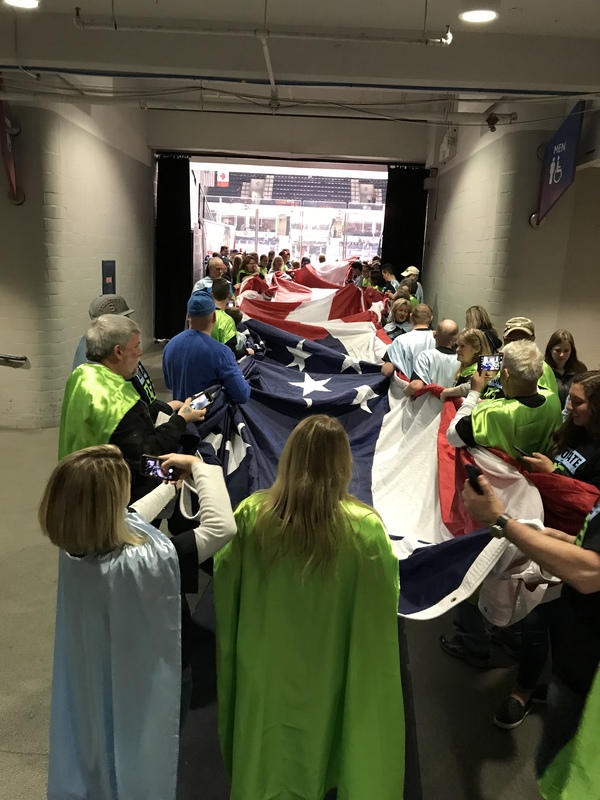 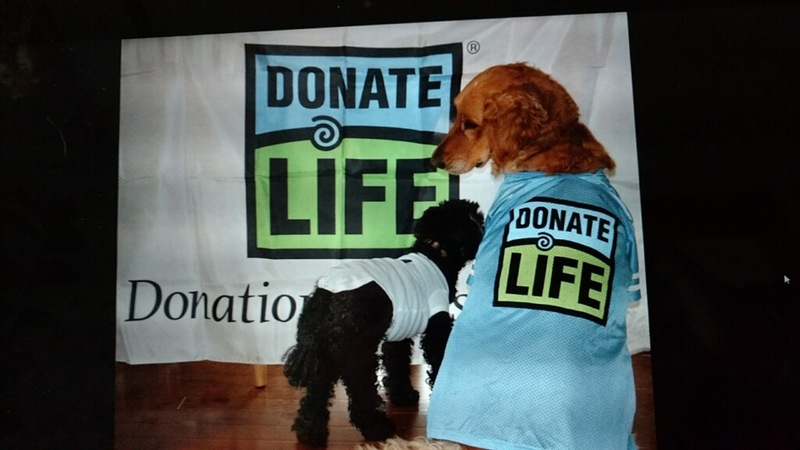 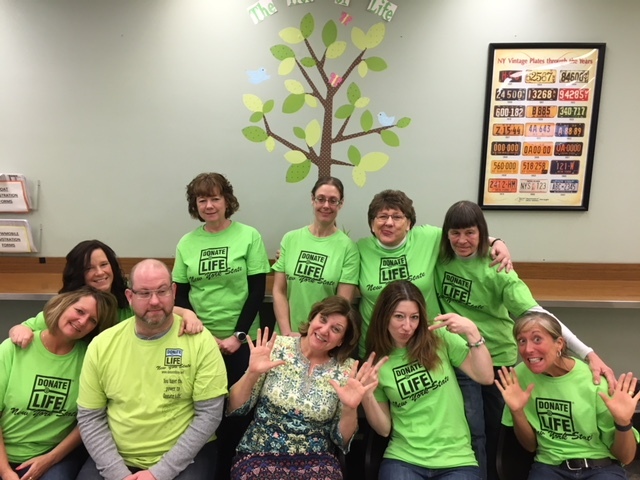 Take a look at some of the fantastic activities that our County DMV’s, hospitals, transplant centers and community partners, and volunteers put together to make Donate Life Month 2018 one of the best ever! 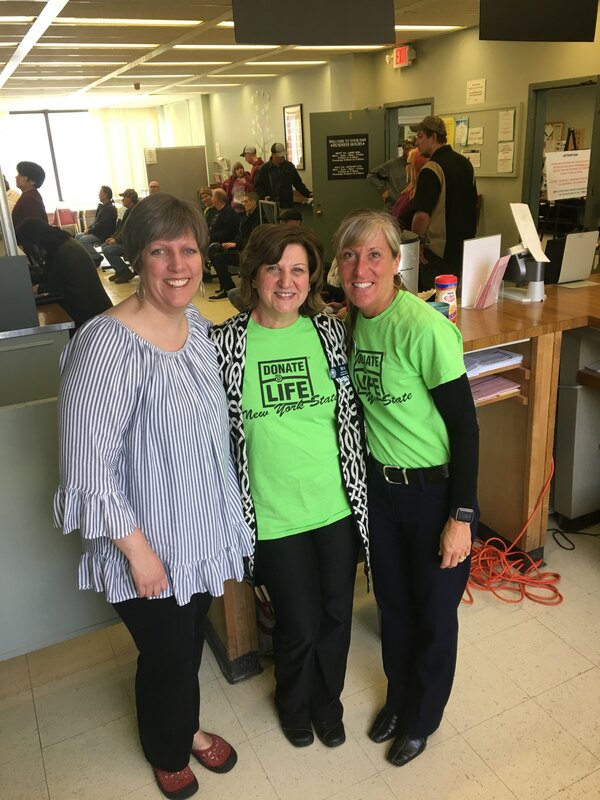 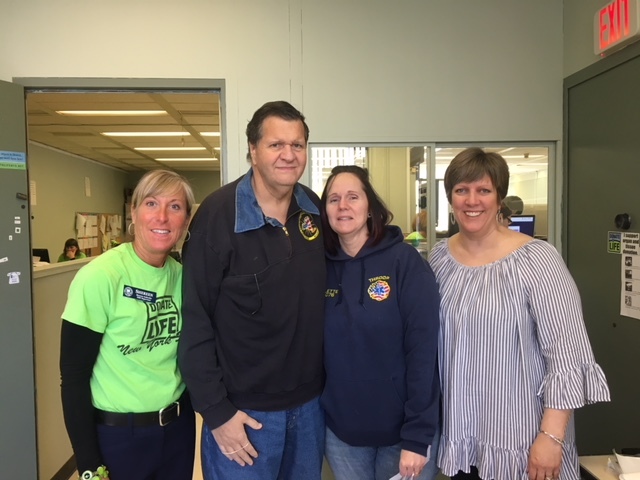 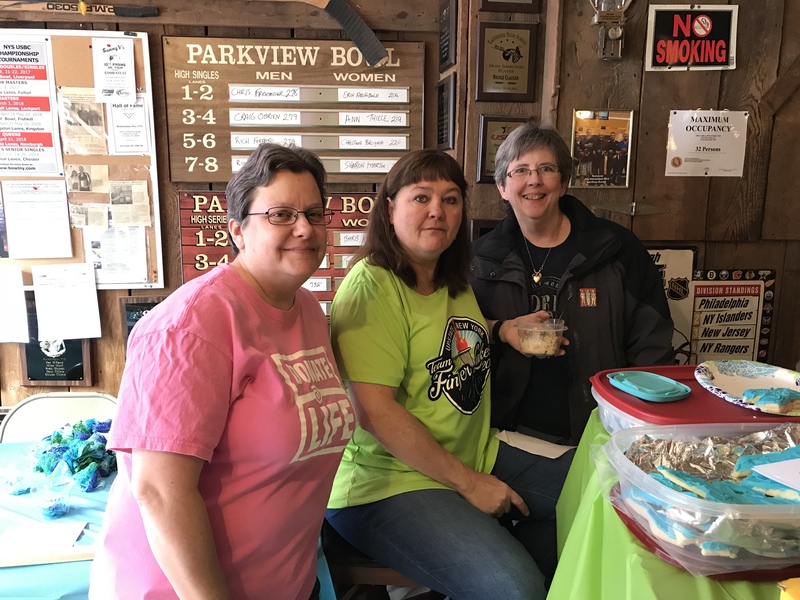 Cayuga County Clerk Susan Dwyer (center) and DMV Supervisor Shereen Androsko (right) joined by FLDRN's Amy James at Cayuga County's Donate Life Month Kick-off! 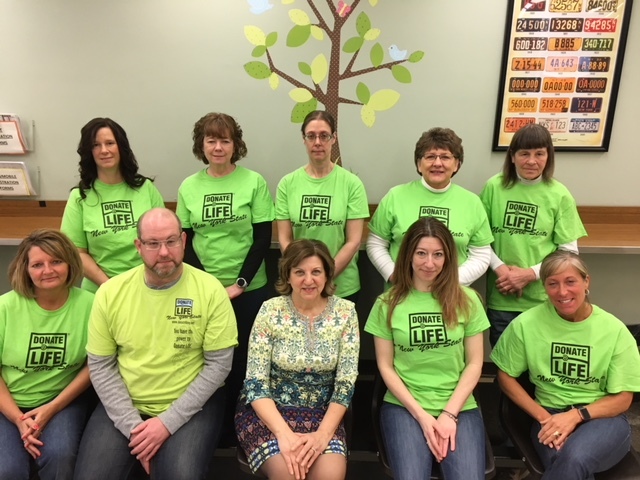 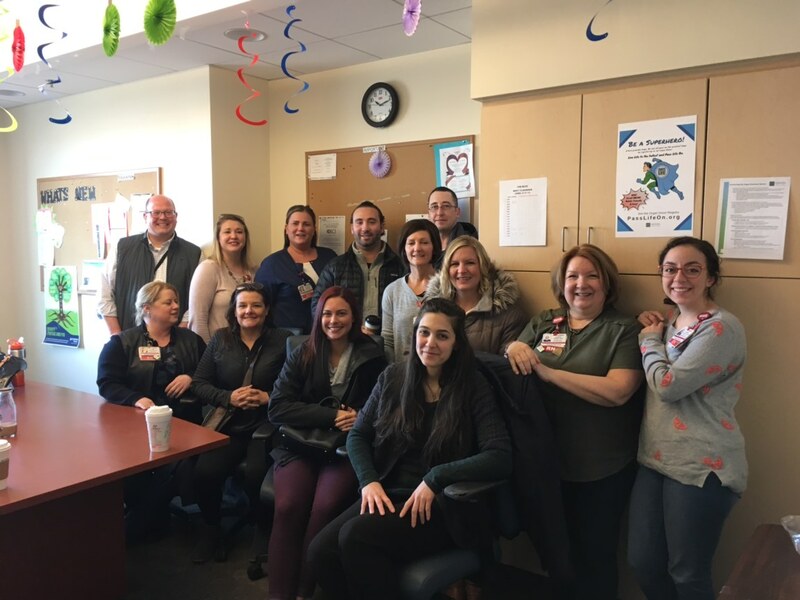 Group photo of our Cayuga County DMV Staff in front of the Giving Tree which will have people's names added to leaves if they register as organ donors. 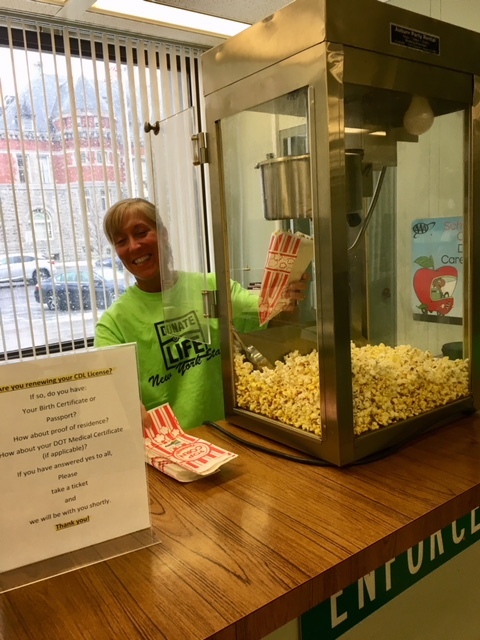 The popcorn machine set off the fire alarm in the six-story building! 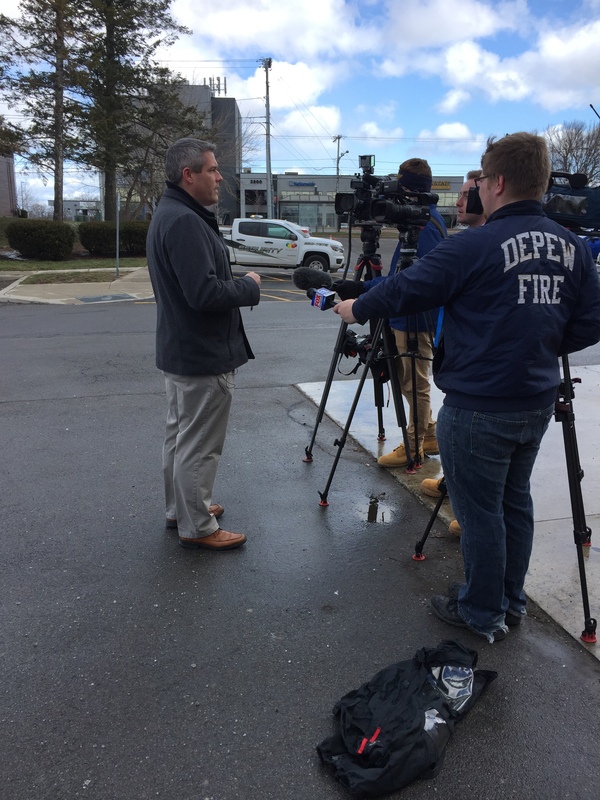 In the words of Cayuga County Clerk Susan Dwyer, "...kick-off week was a real hot one!" 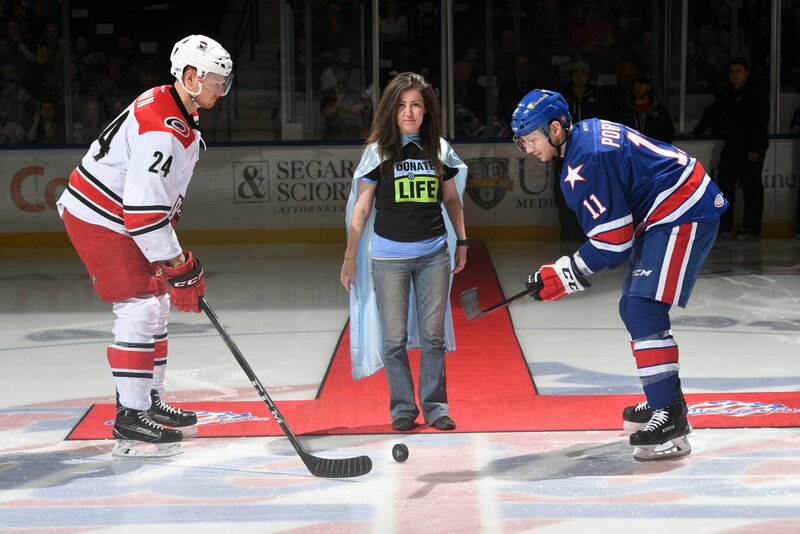 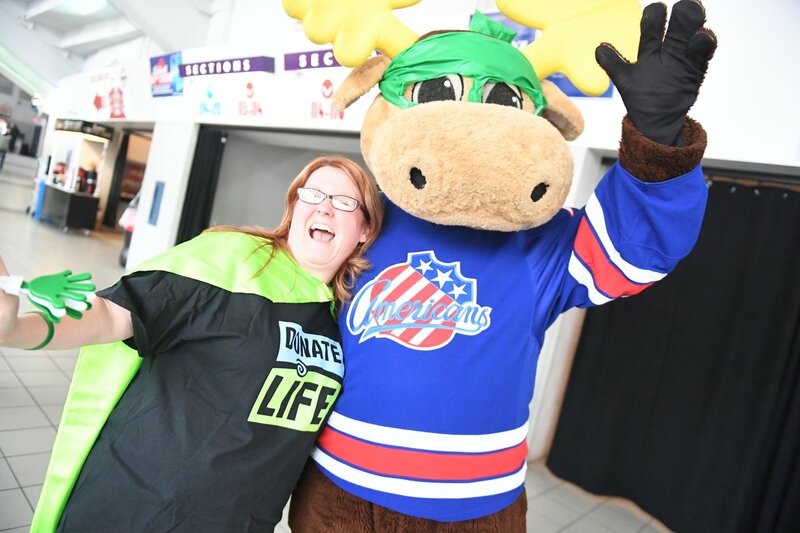 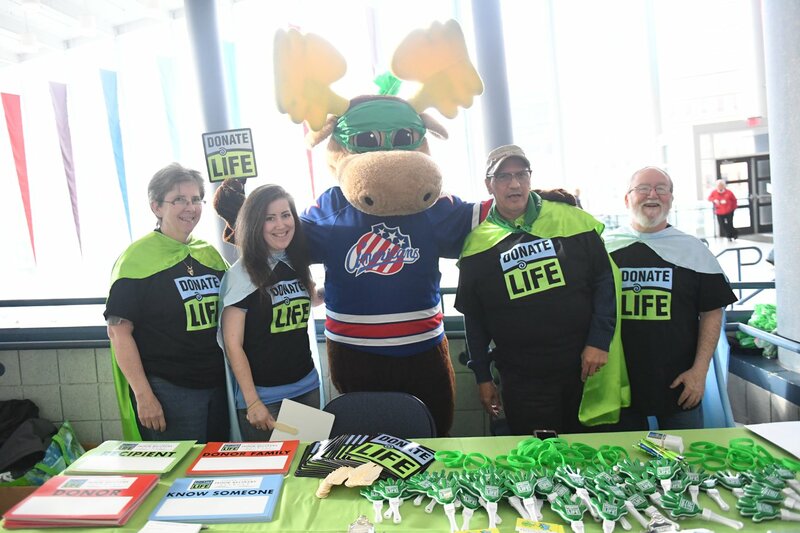 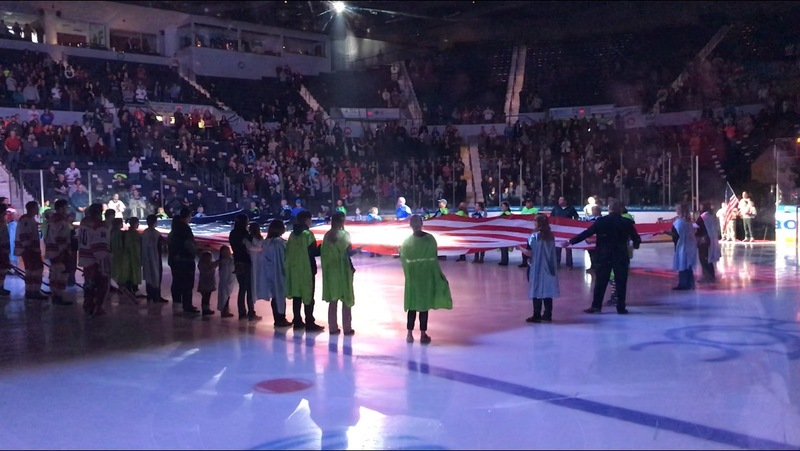 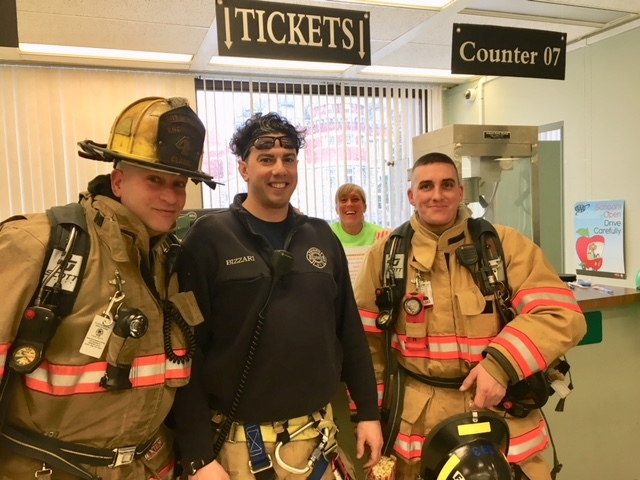 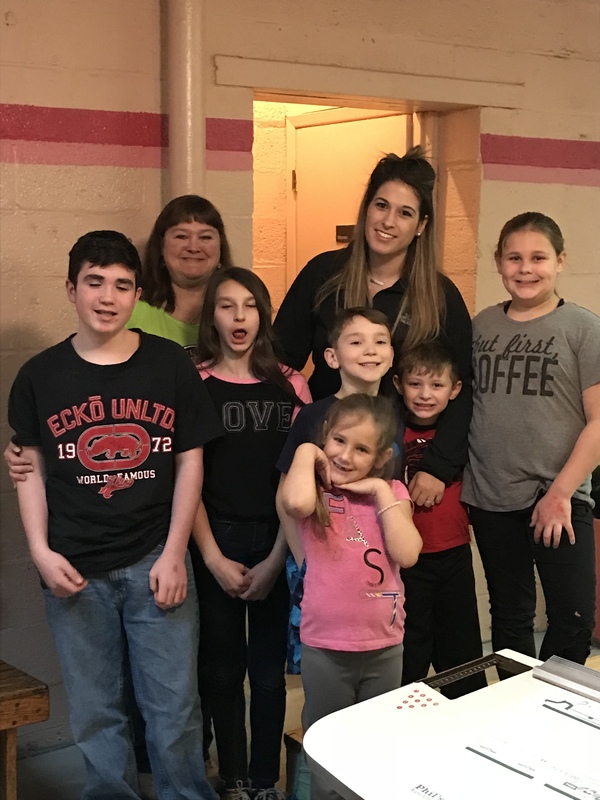 Rochester General Hospital staff and volunteers take their Donate Life Month activities outside of the hospital for the home opener at Roc City Roller Derby! 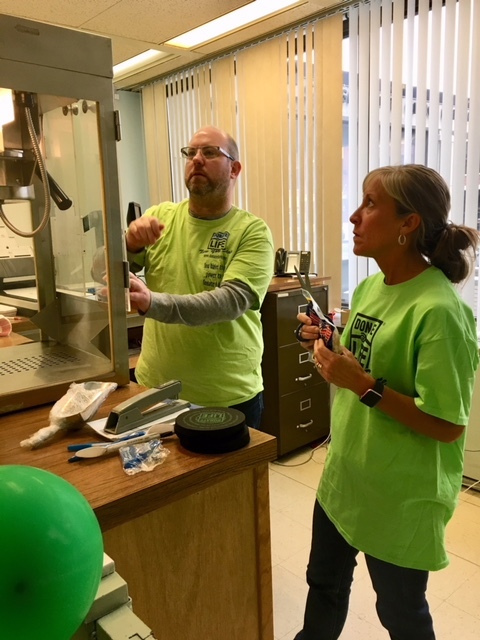 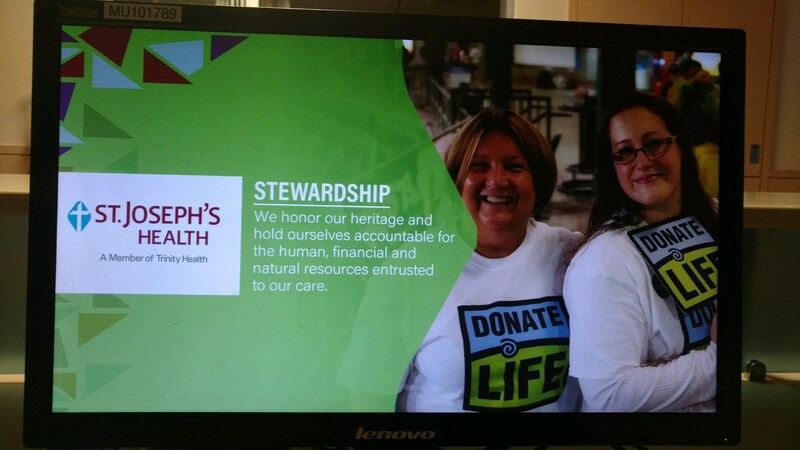 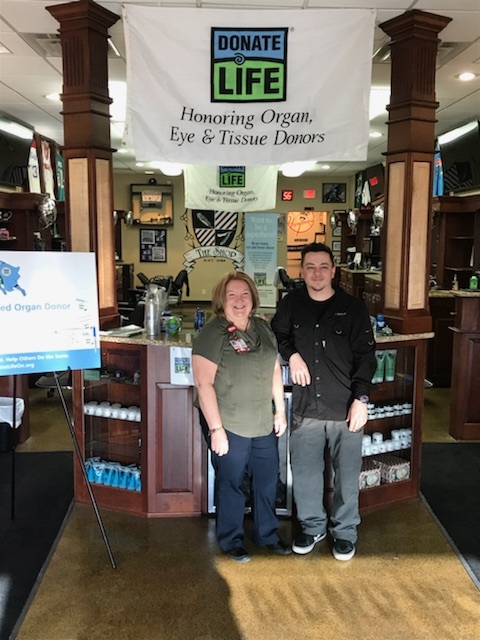 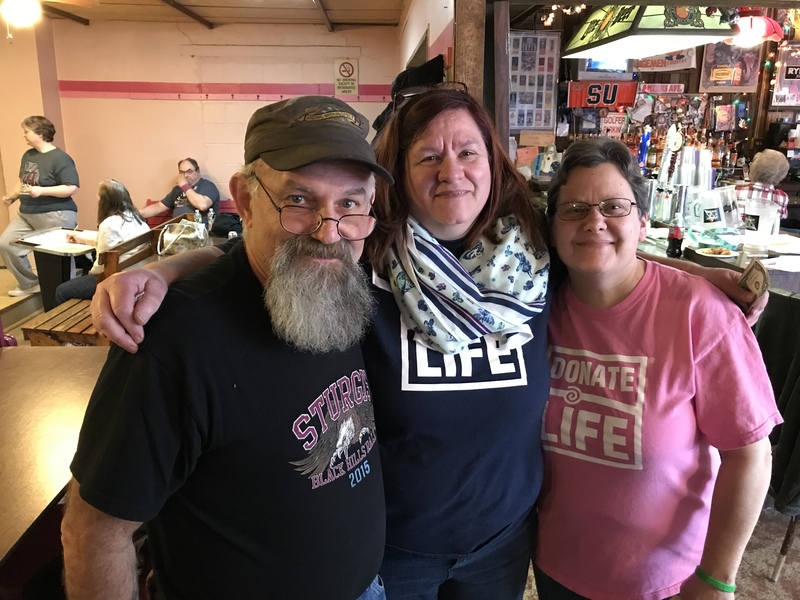 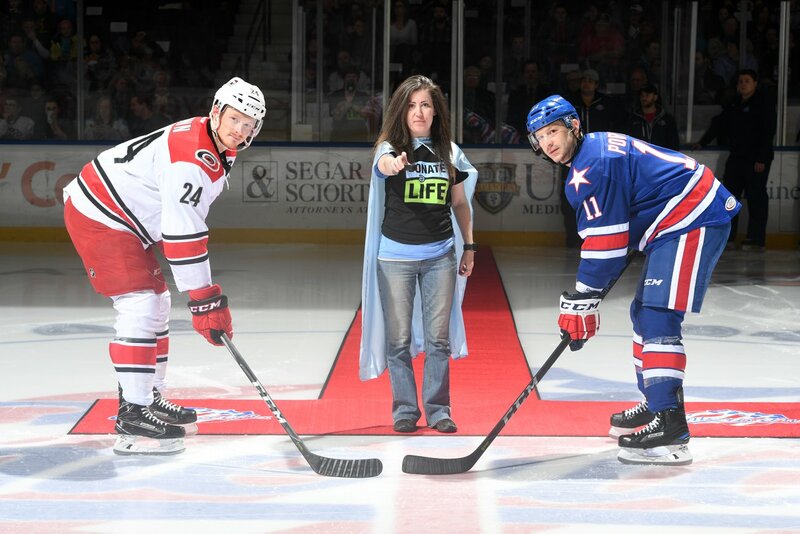 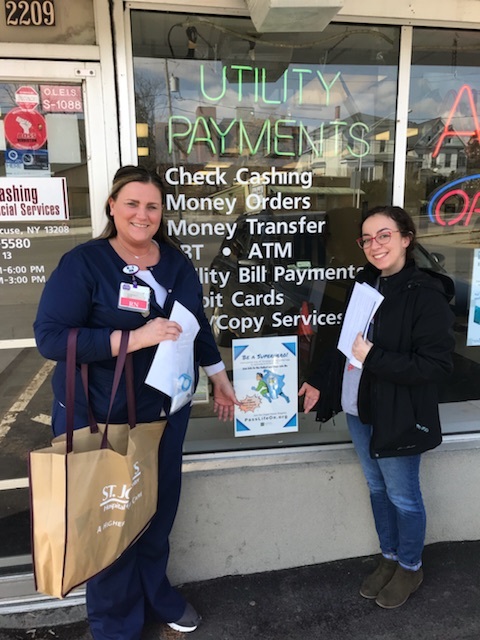 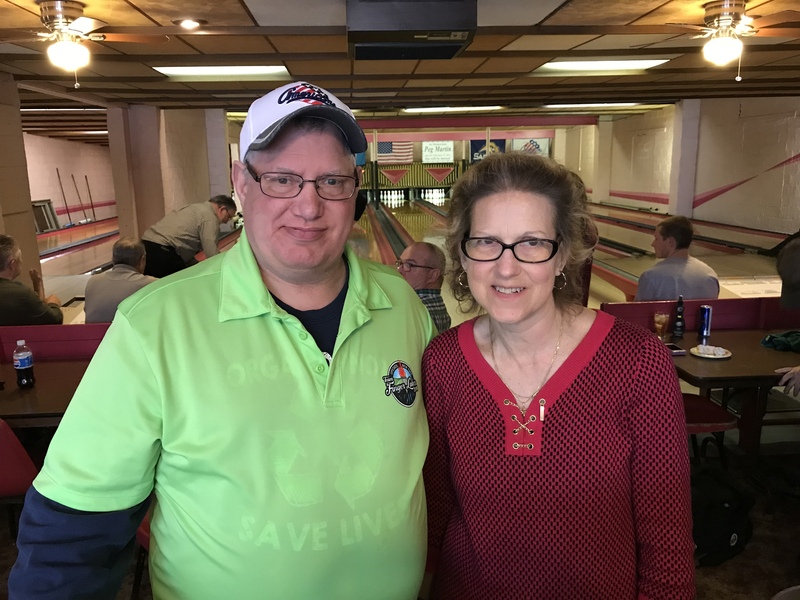 Donna Ferris of St. Joseph's Hospital and Anthony Calangelo, owner of "The Shop" in East Syracuse, get ready for Donate Life Month celebrations. 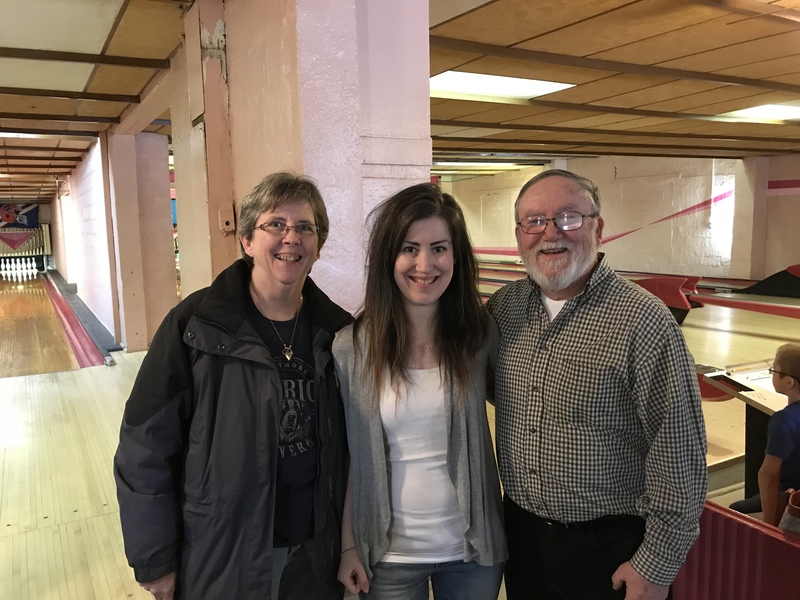 Team Finger Lakes - Bowling Fun! 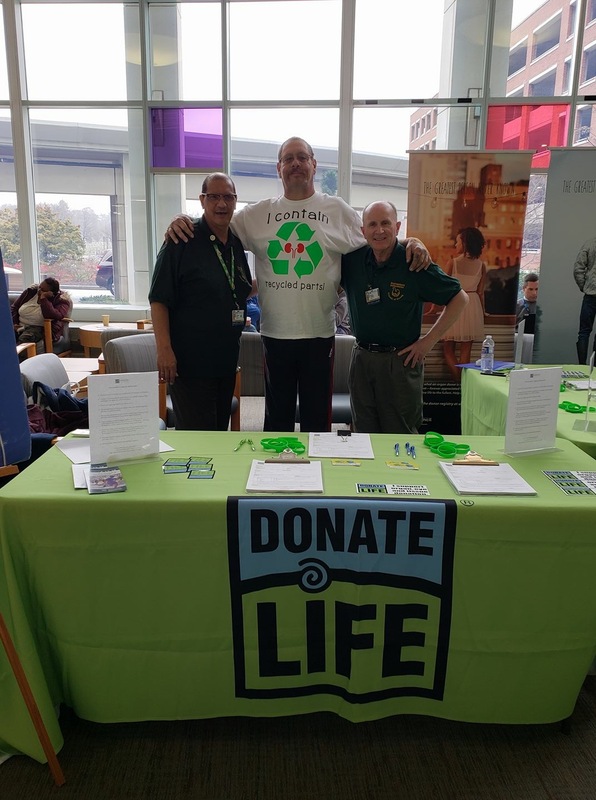 Thank you to Richard Perez (left) for hosting a Donate Life Table at Strong Memorial Hospital on Tuesdays and Thursdays throughout April! 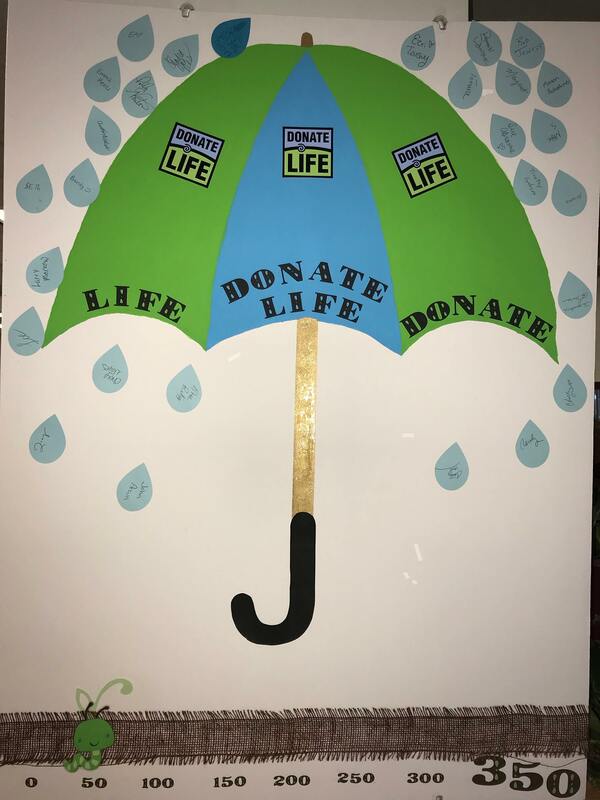 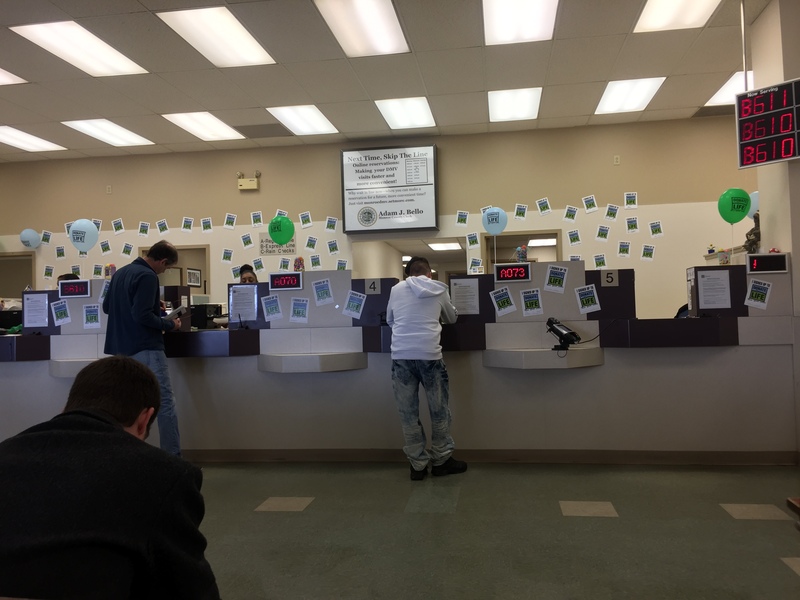 Jefferson County DMV's creative wall art for Donate Life Month!